What a show! 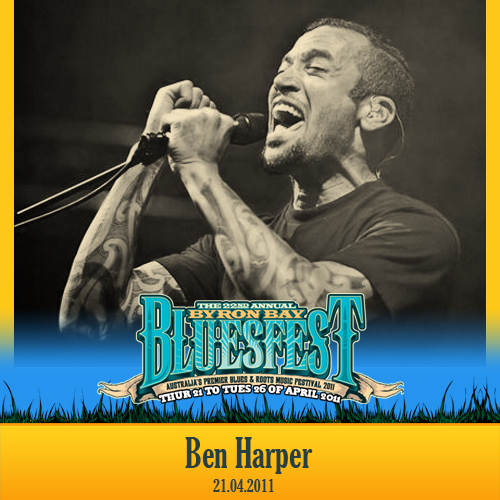 Bluesfest had billed Ben Harper to play with his band Relentless 7. To everyone's surprise though, he played a reunion show with The Innocent Criminals! Ben Harper hasn't played with the Innocent Criminals since late 2008 - so it was destined to be a great show. An amazing opening to the festival - glad I chose to see Ben over ZZ-Top. It was truly an experience to be in that Mojo tent that night. Not only is this worth downloading because of the reunion, but you need to hear the story about Leon and his Djembe for that night! A quick note: When recording the levels suddenly dropped on my recorder a few times throughout the show. I've edited them with envelopes and brought it back to normal. Hence why it's taken so long to get uploaded. Thanks, I can't wait to listen to the reunion. Any chance that you could post lossless files? One day but not anytime soon.